Description: Messy Play for 0-5 years old. Come along and have a really good messy time. Please take a change of clothes for your wee one. £1.50 per child, under 6 months are free. Description: Enjoy an afternoon of rides around the museum’s outdoor circuit in one of an arrays of vehicles. Standard museum admission applies, with all rides included. Description: Bennachie Youth Club meets on the last Friday of every month. Various activities in a relaxed environment. Sessions are led by Stuart and Tiggy who between them have over 20 years experience working with children. Activities will change from month to month. This is free and juice will be provided. 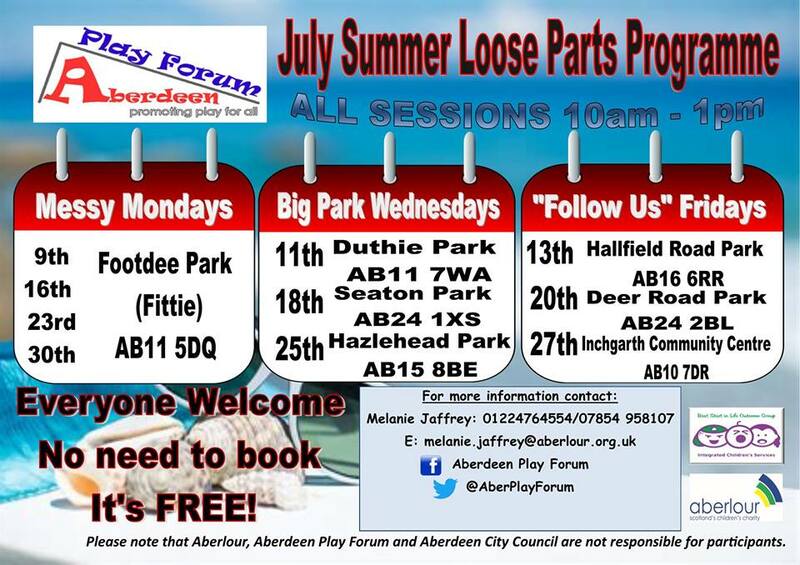 Aberdeen Play Forum’s Play Rangers will pop up in parks with their Loose Parts kit recyclable resources such aspipes, fabric and boxes which encourage children to tap into their imagination and lead their own play. We will also supply some fun, messy ingredients such as mud, gloop, foam, bubbles plus lots and lots of water! Old clothes, a towel and spare clothing to change into afterwards is highlyrecommended! All ages welcome, most appeal to families with toddlers through to primary school age children. All sessions are free of charge and there is no need to book. Description: A fantastic selection of food and drink as well as plants, crafts and more, all from local makers, growers and producers. Description: We will be at this year’s Banchory Show to give a hands-on demonstration of how to do CPR. It’s quick and simple to learn, so why not come and have a go? You could use it to help save someone’s life! Description: Our new incentive designed to teach children extremely important life saving techniques. Our instructors shall be donating their time every second weekend throughout 2018 to teach our very own custom first aid awareness course to the kids. Courses shall last 3 hours and the children will receive a certificate of training upon completion. Snacks and refreshments provided. Description: Our annual Charity Car Wash at Stonehaven Fire Station is on Saturday 28th July 2018, 10am until 4pm, with money being raised for The Fire Fighters Charity. This year we are supporting four fellow firefighters from Central Fire Station in Aberdeen who will attempt the world famous New York Marathon in November 2018. Their fundraising target is £5,000 and all money raised from our charity car wash will go towards their fundraising efforts for The Fire Fighters Charity. 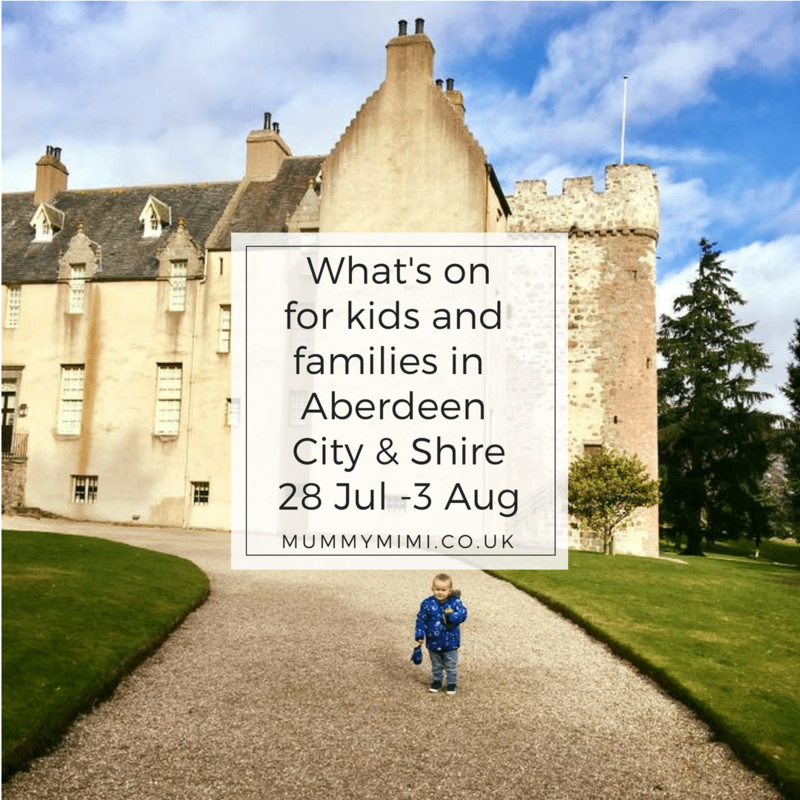 Description: We were ‘busy bees’ before we went on our holiday and we are so excited to announce an exciting event we are hosting alongside Aberdeen Inspired for families this summer! A FREE family fun day for all ages with lots of activities with prizes to be won! We would love to see you there! Description: What a fantastic Summer we are having!! We are so lucky to have three glorious markets this year already. The last market was possibly the biggest and busiest market yet, it was also our 3rd birthday market, thanks to everyone for their support. Description: Maggie Moo and Croo are having a beach party. We are at the bottom end of Greenwell Road, East Tullos, AB12 3AX. Doors open 10am till 12mid-day and entry is just £1.00 per adult – children free! Description: Gardening4Kids class for pre-schoolers aged 3-5 years. Theme is Green and Grow. Description: Come and join us for a Great Charity Family fun Day Out on the 28th of July! Share with all your friends and make it a great day for everyone! Description: Get your trainers on and your sporting skills ready! Join the Dolphinwatch team for a day of sporty fun all linked to the amazing marine animals we have in our seas. Can you jump the length of a dolphin? Can you dive as deep as a whale? How fast can you run the length of a sperm whale? Activities availale all day. Races will be held at scheduled times throughout the day. See below. Adults! Don’t think you’re getting out of doing the races! Come and join in the fun! Sign up to take part in the races by emailing dolphinwatch@rspb.org.uk or sign up on the day! Some activities have suggested donations. Description: Join the Rangers to explore the wildlife in Crathes magnificent gardens. This year as part of Scotland’s Garden Scheme we will be hunting for pollinators, minbeasts and magical moths in the formal gardens at Crathes. Description: Gardening4Kids class for primary schoolers, Theme is Green and Grow. Description: Join a Countryside Ranger for an insight into the world of the bat. You’ll be using bat detectors to hear the bats’ ultrasonic communication while keeping an eye out for other wildlife along the river. Please bring a torch. Meet at Grandholm Bridge. Parking is available on the North side of the bridge. First Bus 19 goes to Gordon’s Mills Road. Booking essential – call 01224 326 429 or email countrysideranger@aberdeencity.gov.uk This event is free but donations to the Countryside Ranger Service are greatly appreciated. Description: Fraserburgh gala is hosting a day of fundraising for macmillan cancer and the new skate park. Some of the things happening on the day are Its a knockout, Inflatables, BBQ,bottle stall, raffles and we will be holding an all day macmillan coffee morning where you can get some fine peeces and a coffee. Description: Experience all what Cullen Harbour offers in one day. From an endurance swimming event to sailing tasters to coastal rowing skiffs built by the Cullen Sea School volunteers this is a day you cannot miss. Watch this space for more updates on the event. Description: We have another exciting opportunity for you to MEET THE BEES. Come along on SUN 29th JULY and the beekeepers from Udny Provender will get you kitted out in a bee suit so you can get up close and personal with the lovely bees that live at Formartines. Sessions at 11am, 12noon, 1pm, 2pm and 3pm. NO NEED TO BOOK. FREE EVENT. Honey made by the bees you have just met is available to buy and don’t forget that Sunday is delicious do-nut day at Formartines. Description: The Grampian Region of the Jaguar Enthusasts’ Club is holding its nineteenth Annual Regional Gathering of Jaguar vehicles of all ages on Sunday 29th July at Drum Castle. Bring the family to see these fine vehicles in all their splendour at this stunning location and help us raise money for our Charity. This year, we are supporting the Charity ‘Mental Health Aberdeen’. Many other different activities for all ages ongoing through the afternoon. Adult £4, Children/Cons £2, Family (2 adults and up to 4 children) £10. Description: Aberdeen Mela & One World Day is a vibrant cultural festival which helps bringing together of all diverse communities of Aberdeen in a common space to share each other’s living styles, cultural diversity and ethnicity. There will be music, dance and singing songs from all over the world, stalls with arts & crafts, henna and face painting, bouncy castles, food and drink catering stalls, clothes and jewellery, public sector organisations. Description: Another chance to marvel at the magic. One of the Pool’s series of summer entertainment for kids. Held under cover in the Green Room beside the paddling pool. No additional charge – just buy or use your usual pool tickets. Description: Join Butterfly Conservation Scotland’s Bog Squad and the Portlethen Moss Conservation Group for a family fun afternoon on the moss. Activities include – arts/crafts including making your own Bog Day Booklet, a wildlife walk including a 15minute butterfly survey for the Big Butterfly Count, peat experiments, jigsaws and more! The event is being run as a drop in and is completely free! Description: If you’re looking for something fun to do with the little ones during the school holidays then come along to our Children’s Summer Craft Club at our brand new Workshop in Station Square, Aboyne. All activities are suitable for 8+ years. All materials are provided, please make sure your child is wearing suitable clothes for getting messy! Full payment is due upon booking to secure the place. Looking for ideas on how to keep the kids entertained over the 6 weeks summer holidays? 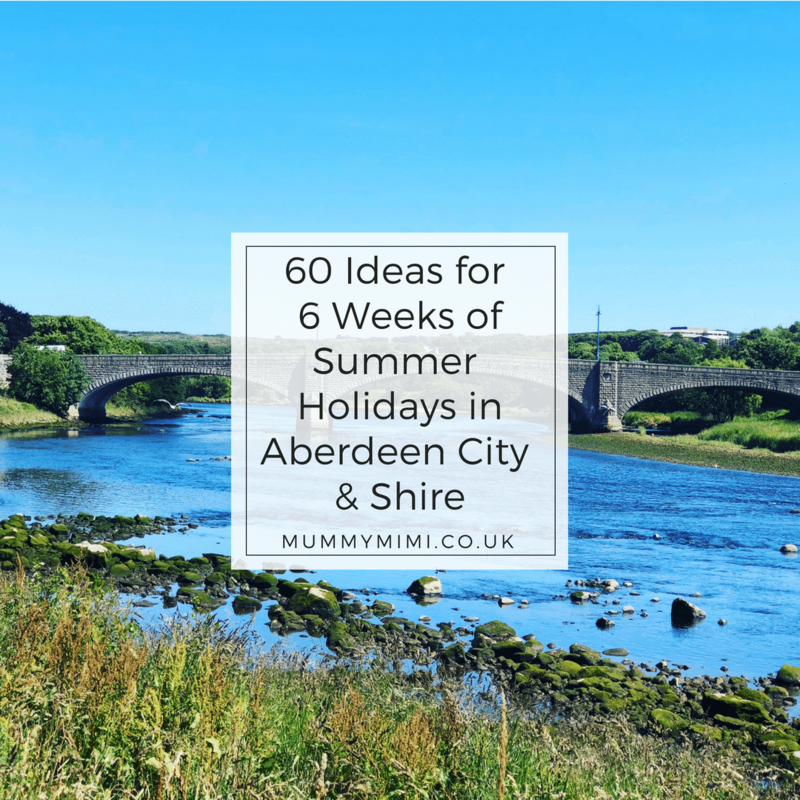 Then why not check out our 60 Ideas for 6 Weeks Summer Holidays post. Take part in the Tesco Bank Summer Reading Challenge Scotland during the holidays. This year we’ll celebrate 80 years of The Beano with children following clues to explore Beanotown, meeting old favourites including Dennis and Gnasher and helping them find mysterious buried treasure! Read books from any Aberdeen City Library and receive rewards along the way throughout the holidays. Join in the fun at one of these special events for children taking part in the Challenge. The Challenge is suitable for children aged 4-12. Children under 4 can take part in a mini Challenge and collect a special Bookbug medal and certificate. To book, call 01224 498160 or email KaimhillLibrary@aberdeencity.gov.uk . Description: Learn how to do fishtail braids, 5/7/9 braids and space in braids. Add some sparkle with hair tinsel and glitter roots. Suitable for ages 10+ who have mastered basic plaiting. Hair-up kits will be available to buy on the day. Description: A child-friendly board game club for ages 8+. Booking essential as places are limited. 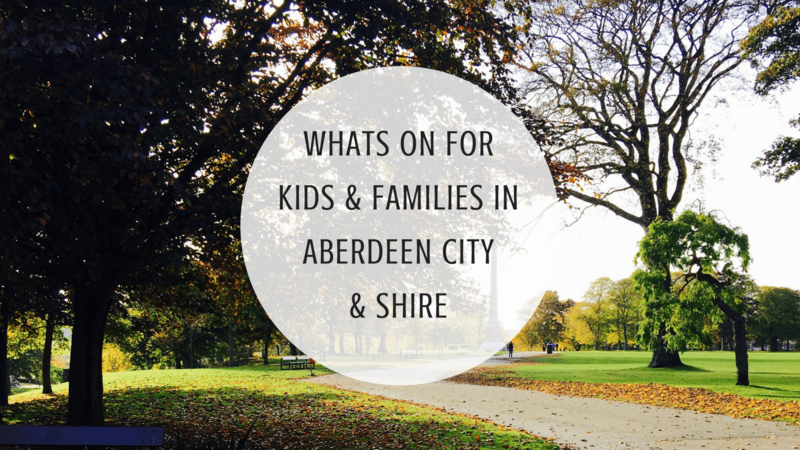 To book, call 01224 652507 or email childrenslibrary@aberdeencity.gov.uk. Description: Join Aberdeenshire Council Ranger Service at Haddo Country Park to learn essential woodland and camping skills, or to improve on your existing skills. Each session will have a range of activities (some weather dependent) but could include tarpaulin set-up/take down; knots and ropes; basic knife skills; saws and other hand tools and the Scottish Outdoor Access Code. These sessions are free; the activities suitable are for 7 yrs. plus accompanied by an adult. Younger children may come along but may not be able to take part in any/some activities. Description: Come along to this OWLS session where you will have the opportunity to take part in den building, fire lighting, wide games and navigating a natural obstacle course. Campfire snack included. Description: Our NEW Splat Slime workshops are aimed at children aged 6+ years who are interested in learning the techniques of making their own slime! The slime workshop allows the children to be as creative as they want with making different types of slime using all sorts of colours, textures and materials so the end result is everything they imagined! They will be able to make 2 slimes of their choice and take them home in a airtight container at the end of the class. Description: Bring a rug, picnic & your favourite teddy to enjoy a fun family day out. Harry (pictured) will be helping with all the activities on the day. Book spaces in advance by emailing lisagardiner@worldhorsewelfare.org . Pay on the day £5 per child. Included is our hoof it trail where you have to find Harry and his family who will be hiding around the farm. Meet the Belwade ponies with their teddy’s including Dancer our mini unicorn & Theon our adoption horse. End the day with teddy story time…. Want to win a prize!? Come along in fancy dress with your teddy on the day for your chance to win our competition. Our magical woodland will be open all day so take a stroll around with your teddy and find the fairies, unicorns and trolls as you go. If you have time try making a teddy bear size den. The Belwade Bistro with be open throughout the event. If you do not have time to make packed lunches you can order our lunch boxes give us a call for more details 013398 85398. We can also offer take away hot options, tea, coffees, cakes and bakes. This is a fundraising event with all money raised going towards the work of the charity. Where: Union Terrace Gardens, Aberdeen. Celebrate National Play Day with a messy adventure full of sand and clay! We will explore around the sand dunes near to the Sand Bothy, collect natural treasure then back at the Sand Bothy use these to decorate a piece of clay you have formed into your first initial! We will also make time to explore the huge sand dunes a 10 minute walk from the bothy and have a drink and a biscuit. Lottie’s Lockets will be hosting a summer make and take session over at Geek Bothy in Kemnay. No need to book, simply turn up between 1pm – 4pm to create your very own Fairy Bottle Necklace. Choose from a selection of magical fairy dusts to sprinkle into a glass bottle, ready to turn into a necklace of your very own to wear! Wearing the necklace close to your heart will activate the special powers that your chosen fairy dust possesses! All materials, tuition and organza gift pouch is included in the price. Description: Let’s build together with themed creative sessions this Summer. Aged 8-11 years. Booking essential. To book, call 01224 245350 or email Covelibrary@aberdeencity.gov.uk. Description: Lose yourselves in your favourite books in these fun, interactive storytelling sessions for children and their adults, presented by Aberdeen-based 10ft Tall and Frozen Charlotte, specialists in making theatre for children and young people in Scotland. Description: A fun afternoon for all the family, included in the standard museum entry cost is your chance to enjoy a ride around our circuit in an array of vehicles, including an ambulance, fire engine or police car. Description: Come join in the messy fun! Spaghetti, jelly, rice, ice cream and lots more. Please arrive 15 minutes early for sign in. We hope to see you soon – £5.50 per child / £3.50 per sibling/friend when booked with a full paying child, per session. Only £30/£50 when booking all 6 sessions. Book via private messaging us or emailing fun@messymoments.co.uk. Messy Play Peterhead – SUPERMESS! Description: Ka-pow! Put on your hero capes and fly along to our BRAND NEW Supermess Party! Come along and save the world with your little super hero’s. With Hulk Smash Gelli Baff, Batman Rice, Joker Jelly and lots more! Little ones can squelch, pour, mix and get messy till their hearts content. All you have to do is come along and MESS AROUND and leave the cleaning up to us! Description: Good morning All – are you surviving this heat? Phew… Our next event is The Teddy Bears’ Weekend, held over the days of 3 – 5 August. There is no extra charge for this event, just bring the little ones along, complete with their Teddies of course… and have fun on the train. See y’all? Description: A zip through Old Aberdeen’s history comparing the 20th century and medieval quadrangles, hearing the stories of Elphinstone Hall, New Kings and Kings College; visit the hidden remains of the Snow Kirk and the tales attached to the Powis estate represented today by the impressive gates which replicated the former towers in the old quad. PLEASE ARRIVE ON TIME. If you have not booked in advance, please note it is CASH ONLY, we have no facilities to accept cards on an actual tour.